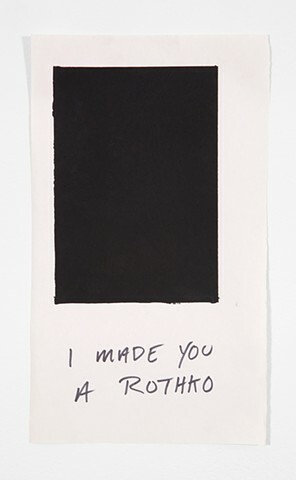 Arriving at Cranbrook, I began making small runs of these "Rothko" prints and left them for various people in their studios. Each print was gifted based on on specific criteria. An effort towards friendship and building community in a new place, these stupid prints began to be hung on others' studio bulletin boards. Across campus, these prints revealed otherwise invisible connections, and I began to be known for "My Rothkos"